Grab juicy jackpots on the 5 reel 15 payline Fruit Shop Slot Machine, a refreshing modern take on the classic Fruit Slots! The classic Fruit Slots has gotten an upgrade and a makeover, and the result is this modern take on the original fruit machine. It’s Fruit Shop Slots, a 5 reel, 15 payline slot game bursting with colourful energy! Fruit Shop slots has a free spins bonus round which can be activated by any fruit symbol on a payline, and all wins are multiplied by 2. If players get a Wild Symbol in the Free Spins round, their wins will be multiplied by 4! More free spins can be activated by any winning combination, and the Fruit Store logo wild symbol will increase base winnings as it replaces regular winnings and doubles prizes when found on winning combinations. 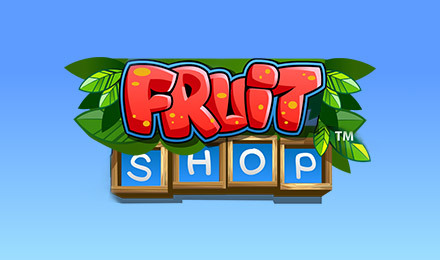 Fruit Shop Slots is a fun, vibrant take on the classic Fruit Slots, with more refreshing bonuses!